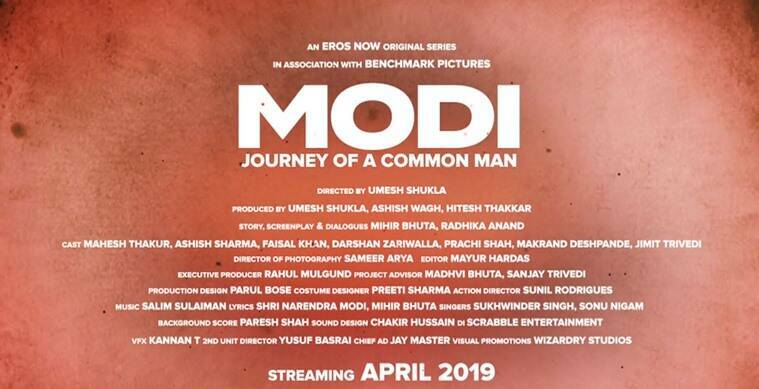 Prime Minister Narendra Modi is credited as one of the lyricists in Eros Now’s upcoming web series Modi – Journey of a Common Man. A biopic titled PM Narendra Modi, starring Vivek Oberoi in titular role, is all set to hit theaters on April 5. The film recently courted controversy for crediting Javed Akhtar and Sameer as lyricists. Both of them denied working on the film. Producer Sandip Ssingh later revealed that they have used the songs “Ishwar Allah” from 1947: Earth and “Suno gaur se duniya walon” from Dus, and hence Javed and Sameer were given credit.